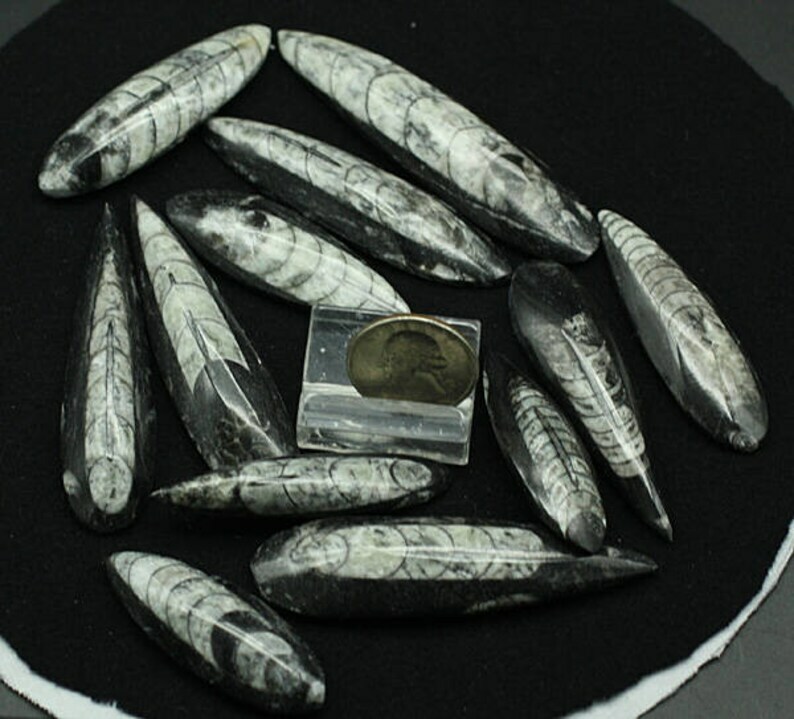 The listing is for one specimen with a sharp fossilized Orthoceras fossil from Morocco, chosen at random. They measure between 1.7 and 3 inches, average about 2 inches in length. Shipping was super quick, item was perfect quality exactly as described! Perfect addition to my son’s collection. Thanks! Quick shipping, nice pieces.